Wooden ammunition boxes were used quite frequently by Denmark and Norway. Norway, in particular, had no provision on their Leopard 1 for carrying snow grousers, somewhat surprising considering their winter terrain. 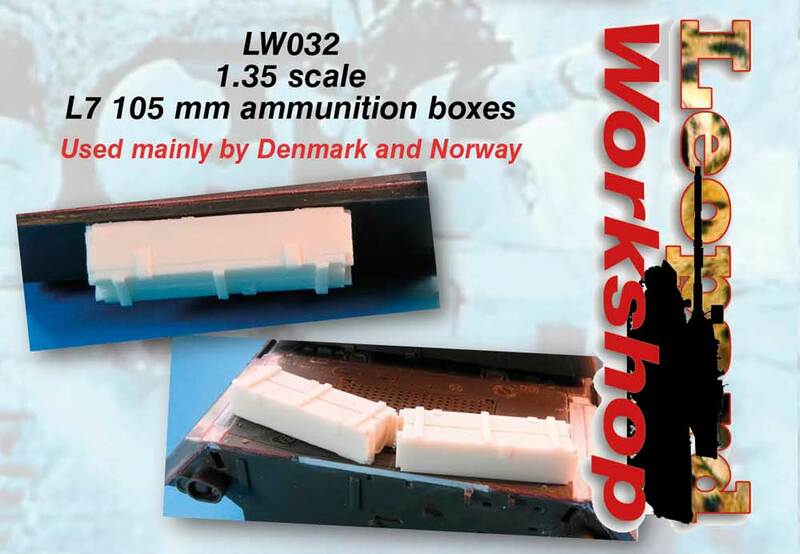 L7 105 mm ammunition boxes were therefore utilised for carrying grousers on Leopard 1NO. 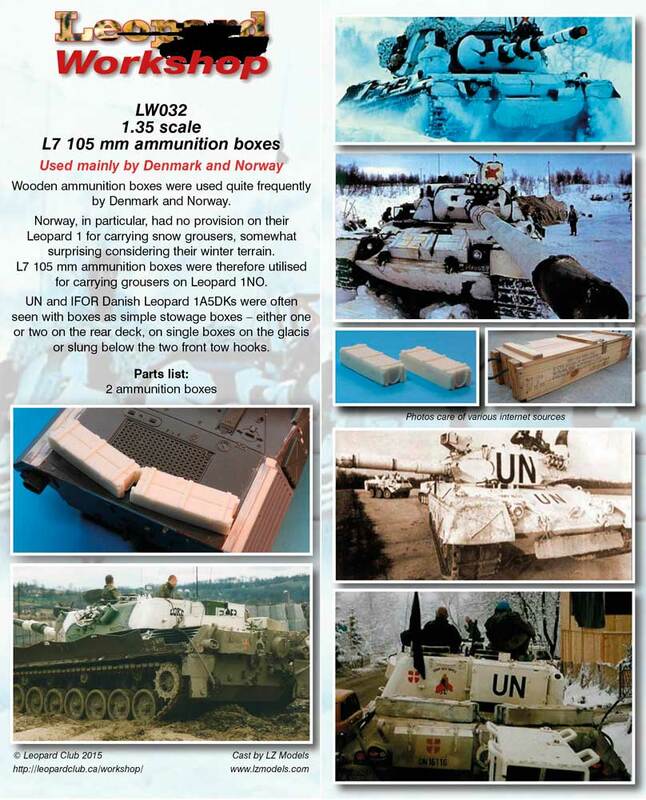 UN and IFOR Danish Leopard 1A5DKs were often seen with boxes as simple stowage boxes - either one or two on the rear deck, on single boxes on the glacis or slung below the two front tow hooks.